Recent reports confirmed that Jay Z has pulled his album Reasonable Doubt from Spotify. The well known rapper, producer, and entrepreneur has invested in a new streaming service called Tidal where his album can now be found. Jay Z and Tidal executive Vania Schlogel recently held a Q&A session with students at the Clive Davis Institute of Recorded Music. The majority of the conversation discussed their new venture, Tidal, and what the duo hopes to achieve by starting this streaming service. “We’re still a very young, nascent company and we have a lot of initiatives that we’re working on, especially when it comes to indie talent, emerging talent, giving people visibility, giving people a forum to put their music up and giving them control of their distribution and their creative content, how they want to communicate with their fans,” Schlogel stated in response to a question on how Tidal would impact indie artists. “Those are all initiatives, and that one specifically is something that we’re working on addressing,” said Schlogel. According to Fader, which has a full transcript of the recent interview, Tidal will have two cost options. There is a $9.99 tier and a $19.99 high-fidelity tier. Through subscription to this service, the Jay Z and Schlogel explained that Tidal will offer a higher quality of music. Critics have pointed out that Tidal is similar to music destinations such as Spotify, and cannot stop the trend of downloading music for free. “Someone asked me the other day, ‘Well, isn’t free streaming better than piracy?’ Schlogel said. “And I responded ‘In any other industry, are you having the conversation around ‘Yeah, but, if they’re gonna steal anyways shouldn’t you be giving it to them for free?’ Would you have that in the auto industry, the fashion industry, the tech industry? No!’ You don’t just give it away for free because people might steal it! That just means you need to change the conversation. We want to grow the market, we want to allow the content creators to have better control over the distribution of the art, and we want the tides to rise with everybody,” Schlogel said. Jay Z did admit that users will eventually need to make a choice about where to get their music. Jay Z went on to explain that Tidal wants to pay artists and all those behind them the money they deserve. As an artist, he understands the downfalls the music industry has faced since the rise of the digital age. 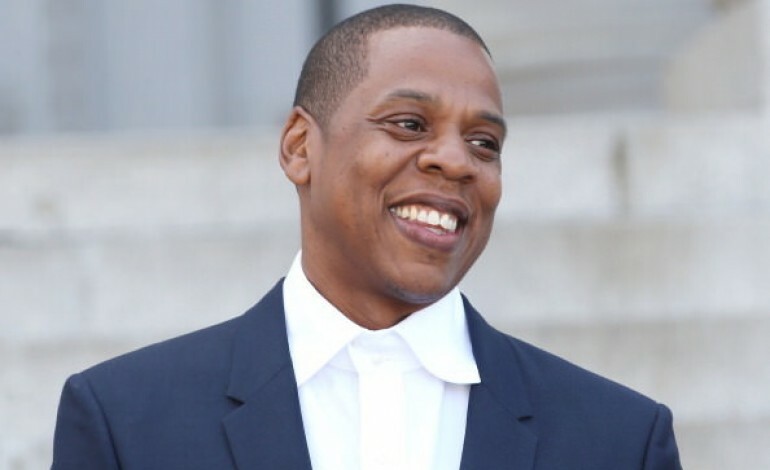 “We (Tidal) pay the highest royalty percentage,” Jay Z said. “And there is no free tier service. If you have five people paying for music, and ten people consuming it, then the artist starts at -5. We start at 1. There is no free tier and we’ll pay the highest royalty percentage. That’s how we’ll change the industry,” he said.